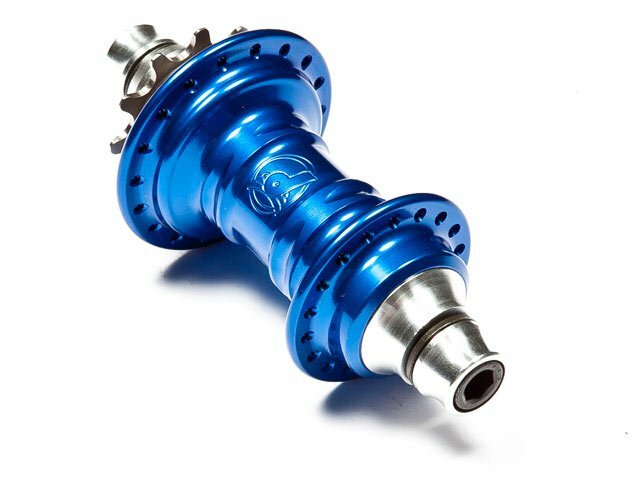 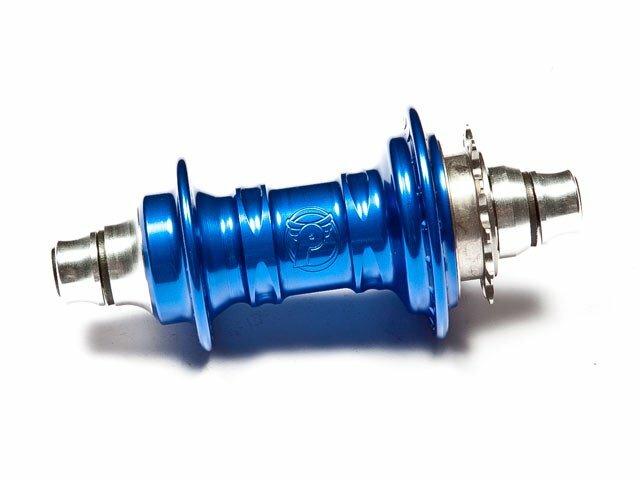 The Profile "Mini" Cassette Hub - Blue is probably the most stable hub in BMX section. 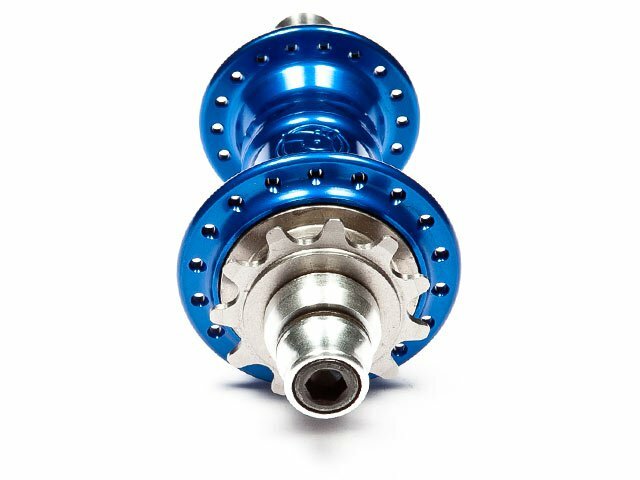 Because of the thin hub body Profile "Mini" Cassette Hub - Blue looks also extremely chic! 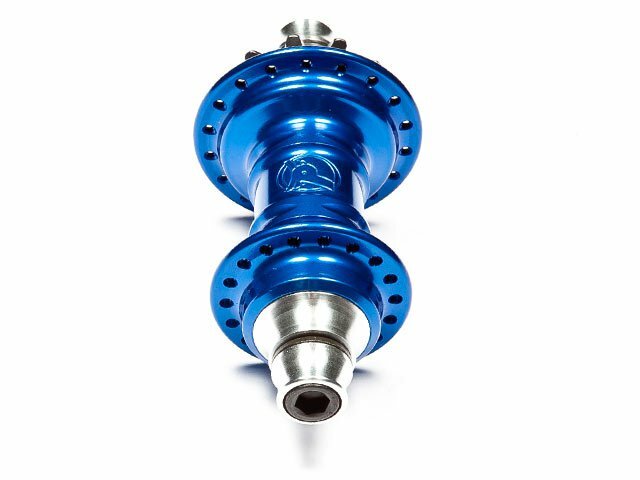 You get it with 10mm allenkeys or 14mm cromo hollow axle. 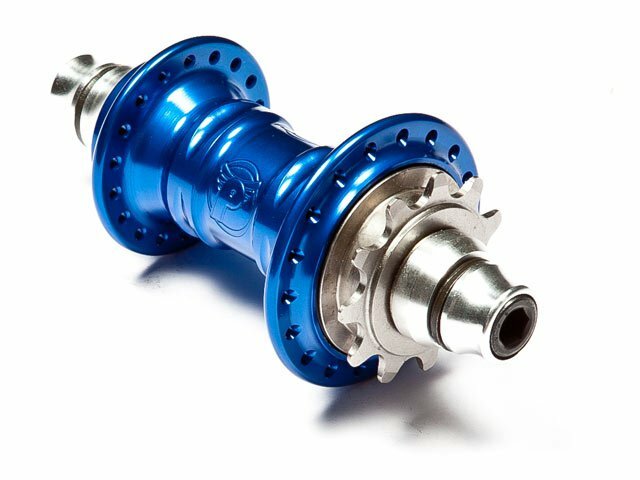 Shown style: Female cassette hub with 10mm allen bolts and Ti-Driver.